The biggest thing any manager spends their time on is figuring out how to make their team better. How to make them happier, more productive, and more engaged. Managers spend an unusual amount of time and energy trying to figure out how to make their team the best it can be. I honestly feel bad for managers. They have so much on their plate, so many responsibilities, they get none of the credit, all the blame, and when employees are disengaged (or quit) it’s their fault. Expectations are arguably way too high for managers, considering everything they have to know and be good at. All of these “soft skills” that are important for them to know, combined with the technical knowledge they need to know can easily become overwhelming. This ultimately leads to stress, and even worse, burnout, which is scary to think about. If your manager becomes burned out and needs to take off work, the team grinds to a halt. They need their leader to set goals for them, help them grow, conduct one-on-ones, etc. Managers clearly struggle with a lot of things when it comes to leading their team, but by understanding these four statistics and thinking of ways to improve them, they can have an easier time and hopefully be less stressed. There are a lot of statistics that will help managers become even better leaders, and we often share many of them on our blog, but for now I want to focus on these next four. They’re incredibly important for managers to understand, and work on improving. If you can fix these, you’ll be in a much better position to lead your team. A survey conducted by Interact found that 69% of managers are often uncomfortable communicating with employees, and 37% said they’re uncomfortable having to give direct feedback about their employees’ performance if they think the employee might respond negatively to the feedback. Managers need to be communicating consistently with their employees. Employees need feedback to get better at what they do. And the funny thing is employees crave feedback. People want corrective feedback, as we’ve defined it, even more than praise, if it’s provided in a constructive manner. By roughly a three to one margin, they believe it does even more to improve their performance than positive feedback. When they asked what was most helpful for their career, 72% of people said their performance would improve if their managers would provide corrective feedback. Understand that employees are desperately craving feedback from you, so don’t be scared to give it to them. Learn how to give feedback that employees will actually listen to. This article will help. Have frequent one-on-ones with each of your employees and listen to their concerns. Listening is just at important as giving them feedback. Be specific with your feedback, ideally giving examples and offering support. Free Bonus: Download the manager’s complete guide to giving feedback that gets listened to. According to Deloitte, many organizations struggle with an issue they call the “overwhelmed employee”. I truly believe that the biggest issue facing organizations today is work-life balance. People are working harder than ever, and technology is destroying any concept of work-life balance that we have. At the beginning of this post, I was talking about how stress leads to burnout. I don’t think people fully understand the gravity of what’s going on. Everyone is feeling more and more pressure to be “always on” for their managers, and if their manager is a workaholic it makes it even harder to disconnect. I’ve witnessed multiple people go through burnout, and it’s one of the saddest things to see. They get physically sick. They have to take weeks, sometimes months off of work. People now check their mobile phones more than 150 times a day. 40% of workers believe it is not possible to succeed at work, make a good living, and have enough time to contribute to family and community. Lead by example. You need to set the tone for making sure employees have a good work-life balance. Keep things simple. Get rid of any unnecessary meetings and set rules for emailing after-hours. Learn how to say no. Teach employees that saying no is okay. 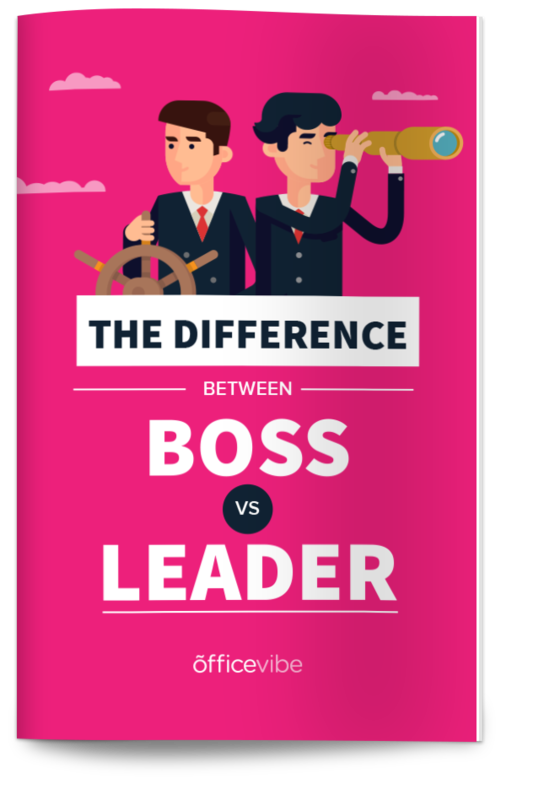 According to research from Gallup, 50% of employees leave their companies because of their boss. Gallup explains that when you have a bad boss, it creates this compounding effect that’s really damaging. Employees are miserable at work, that misery follows them home, making them even more stressed and spreading that negativity to their families. Considering how much turnover costs companies, this is a pretty important statistic to understand. Gallup tried to understand what the underlying issues were that were contributing to this scary statistic. Gallup found that consistent communication is connected to higher engagement. Set clear goals for your team and hold them accountable. Employees who don’t understand what’s expected of them will become disengaged. If you consider how important employee engagement is and how engagement affects every aspect of your business (profits, customer service, loyalty, etc. ), this statistic is incredibly scary. Managers are overwhelmed and overworked, but this is something that can’t be ignored. Employees look up to their managers for training and guidance, and if they don’t get it from them they’re guaranteed to be disengaged. Who an employee’s manager is and how they’re trained to handle certain situations (feedback, recognition, time off, etc.) makes a huge difference. Train your managers. This is the number one thing you can do to increase employee engagement across the company. Give frequent recognition, frequent feedback, and make sure all employees feel included in the team. Here are a few simple tips that you can use to become an even better leader for your team. More than anything, you want to find someone to talk to, bounce ideas off of, or just vent to. Ideally, if you can find someone who is senior inside your organization and can help mentor you, even better. If you can’t find anyone inside the organization, you can meet people at events or follow people online. Just soak up as much information as you can. Always be learning. Treat your career like one giant experiment, meant to consistently learn new things and get better at what you do. Have a bit of fun with yourself, and laugh at your own mistakes. Have a mindset that lets you fail and not get too upset. This is easier said than done, but if you do this, you’ll be way more successful in the end. The secret to success is developing good habits that you can work on every day to consistently make you better. Have a good morning routine, do everything you can to be focused and productive at work, and have a good nighttime routine. It’s a lot of work at first, but then, the goal is to build these things as habits so they become natural. Any Tips On How To Be A Better Leader?